Jewelry is unquestionably one of your most beloved items. 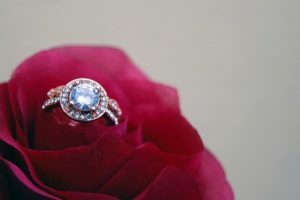 However, time passes and your favorite jewelry will lose its glow and become worn out without proper care. Keeping your favorite jewelry in tip-top shape will require occasional cleaning. 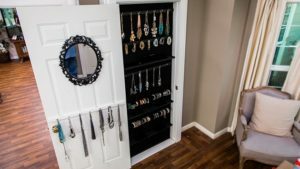 Whether you wear your jewelry all the time or keep it stored away somewhere you don’t look too often, sometimes you won’t notice that your precious collection will need some cleaning. Check on your most prized jewelry regularly, at best check on them every 3-6 months. Also, check your sterling silver jewelry more frequently as it will tarnish quicker than most precious metals. Vinegar – An excellent cleaning material for gemstones and gold, pour white vinegar into a container big enough to cover your jewelry, soak for about 10 minutes and agitate every couple of minutes. Use a soft bristle toothbrush and lightly scrub to remove grime. Aluminum Foil and Baking Soda – Perfect for sterling silver pieces, use a tray and line it with aluminum foil and put in your jewelry. Sprinkle baking soda until each piece is coated. Pour warm water gently onto silver and baking soda. Do this method on each side of your silver pieces to make sure all the tarnish will come off. When done, rinse with warm water and dry with a microfiber cloth. Toothpaste – Use warm water, toothpaste, and a soft bristle toothbrush, Gently scrub your jewelry with toothpaste and rinse when all done. This cleaning method is beneficial when you are on the go. 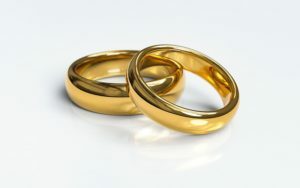 Precious metals will tarnish over time, particularly sterling silver and lower carat gold jewelry. Tarnishing is normal and usually caused by exposure to chemicals commonly found in perfume, lotions, and other cosmetic products. Luckily, tarnished jewelry is easy to clean with the use of polishing cloths. Widely available on the market, polishing cloths are specifically designed with anti-tarnish agents to remove tarnish from gold, silver, copper, platinum, and brass. Intricate pieces with dust and grime can be tough to clean. However, there are ultrasonic cleaners designed explicitly for jewelry use. These cleaners are great for cleaning complex pieces of jewelry with lots of dirt accumulation in crevices. Be careful though; the ultrasonic cleaning process can cause damage to soft metals and gemstones. Remember, always read and follow instructions from the product manual. Always remember to remove any jewelry before swimming either in a chlorinated pool or the beach. Take off any jewelry before using household cleaners or strong detergents. Avoid contact with cologne, hairspray, and other cosmetic products. 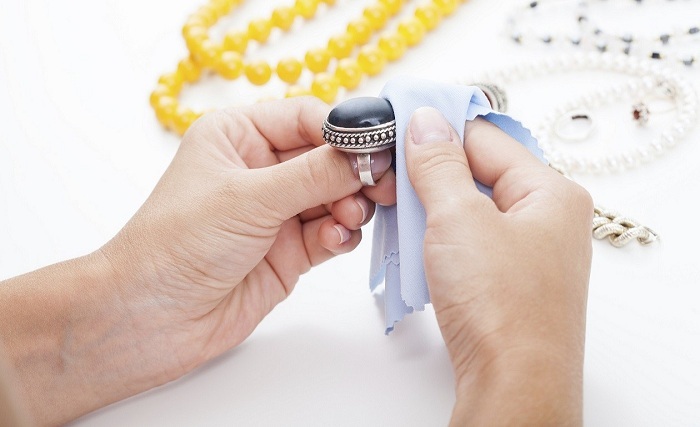 Wipe your jewelry with a clean cloth to remove chemical residues, sweat, and oils. Pearls are more delicate than most gemstones; you must handle them with care to keep them in their best condition. Gentle and occasional cleaning is best for maintaining these precious pearls. However, avoid cleaning them too often and too rigorously as it can reduce the pearl’s luster. Wear your pearls after you’re done wearing your makeup. Use lint-free, soft cloths to wipe bodily oils and residues off. Use mild soap and water to clean dirty pearls. Never, under any circumstances put your pearls in ultrasonic cleaners. Don’t use polishing cloths; it makes pearls look dull. Gemstones should be cleaned frequently to keep them looking vibrant over the years. The safest cleaning method is to soak your gems in warm water and mild soap, and then gently scrub with a soft brush. Once done, use soft, lint-free cloths to dry. Soft and porous gemstones like turquoise, amber, and howlite should not be soaked. These gems can be cleaned by just wiping them down with a clean and moist cloth. Avoid using acids or chemical when cleaning filled and dyed gems, such as dyed turquoise. 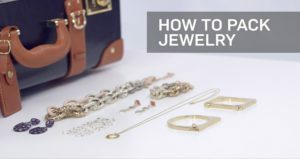 Use these tips when cleaning your precious jewelry. Whether it’s a priceless heirloom from your great-grandmother or your wedding ring, it’s essential to always keep them at their sparkling best. 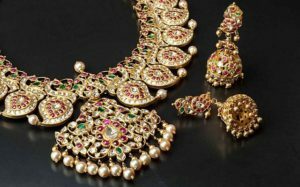 If you already have taken utmost care of your jewelry, then maybe it’s time to add more precious pieces to your collection. Look on Getnamenecklace: shop here for jewelry crafted with the finest materials.